On 26th September 1973, Alf Ramsey’s England treated 48,000 fans at Wembley to an impressive 7 – 0 demolition of Austria. Goals from Mick Channon and Allan Clarke (2) before half time killed off the game as any sort of contest inside the first 45 minutes. Channon would score again soon after the break, before goals from Martin Chivers, Tony Currie and Colin Bell. 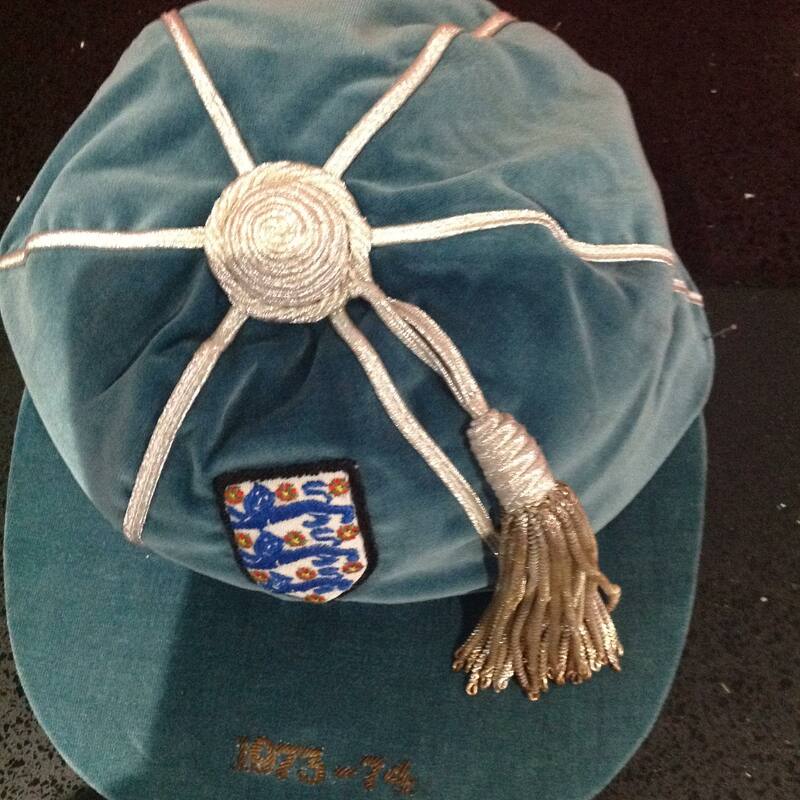 We are delighted to have now brought Colin Bell’s England cap from the game in to the collection, along with a programme from the match signed by the player. Bell started his career with Bury, but really made a name for himself during 13 successful years at Manchester City. Widely regarded as the team’s best ever player, he has a stand named after him at the City of Manchester Stadium. During his career, Bell won a total of 48 caps for England, scoring 9 goals. After suffering an injury in the Manchester derby in 1975, he spent some time out of the game, making a return in 1977. From then on he struggled to find his earlier form, and eventually retired in 1979. He did have a brief spell with San Jose Earthquakes alongside George Best in 1980, but only played 5 times.